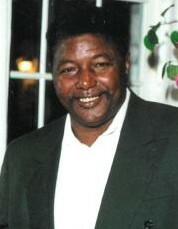 Winford Taylor, 66, of Walterboro died Monday, August 27, 2018, at Colleton Medical Center in Walterboro, SC. He was the husband of Alva "Cha Cha" Grant- Taylor of St. Helena Island, SC. Visitation will be held from 5-8pm Friday, August 31, 2018, at Allen Funeral Home Chapel in Walterboro, SC. Funeral services will be held 11 am Saturday, September 1, 2018, at Saint Center Ministries in Walterboro, SC. Allen Funeral Home of Walterboro in charge.